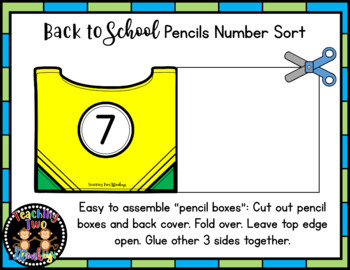 This resource would make the perfect addition to your back to school themed math center for preschool, kindergarten, SPED, or even homeschool! I created this resource with lost of colors and back to school in mind, but you could totally use it year round! Students sort the colored pencils into the pencil box with the correct number. 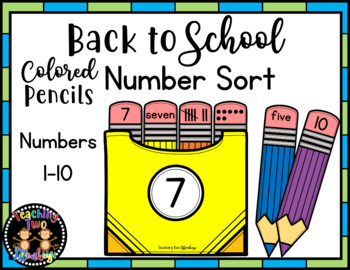 The colored pencils are labeled by 4 different ways to represent numbers - numeral, number word, ten frames, and tally marks. 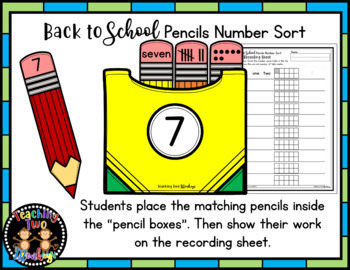 You could set this activity up so that students work on one number at a time, or work on multiple numbers at a time. 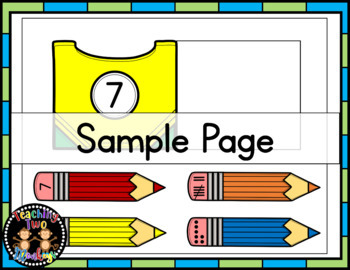 - 40 colored pencils, 4 for each pencil box: numeral, number word, ten frames, tally marks.